SOME electricity consumers yesterday submitted to the Energy Regulation Board (ERB) that Zesco Limited should spread out the implementation of the proposed 50 percent increase in tariffs in order to avoid the collapse of various economic sectors. 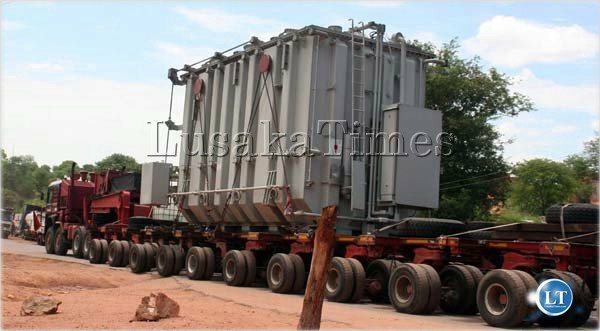 But Zesco director of corporate and business development Bestty Phiri argued that spreading out the implementation of the tariffs will result in the company failing to make necessary investments required to address the current energy crisis. Zesco has proposed to increase electricity tariffs by more than 50 percent for commercial, social and industrial users while residential customers whose consumption is below 500 units (kWh) per month have been spared and will continue paying the current tariff of K0.15 per kilo watt hour (kWh). The proposed tariffs do not include three percent excise duty and 16 percent value added tax. During a public hearing on the tariff application by Zesco hosted by the ERB, Mr Phiri said tariff adjustments are expected to generate revenue of up to K14.8 billion in the first full year of implementation. “Power projects are not items you buy off from the shelf; they take three to five years to make returns, if we spread out implementation, it means we will not invest and address the current challenges. The energy crisis needs to be resolved now and not be postponed otherwise we will have a disaster worse than the current one,” he said. However, Zambia National Farmers Union economist Humphrey Katontoka said the tariff hike will be too high to be implemented at once. “We have farmers on a monthly fixed charge of K288,000 but this will increase to K683,000, which will be a big jump on the bill of farmers, so we suggest a two-year implementation plan,” he said. Consolidated Farming Services representative Musa Wanjowa said tariff adjustments are inevitable but that they should be done over a longer period to avoid industries experiencing a cost shock in their operations. Zambia Association of Manufacturers chief executive officer Maybin Nsupila said the sector will collapse unless Zesco establishes a targeted tariff requirement plan up to 2019 that should be implemented in phases. “We support migration to cost reflective tariffs but increasing tariffs is not the same as improving service delivery,” he said. This news is ever confusing wherever and whenever it appears – somewhere yesterday, it was reported that one of the increases proposed was over 200%, which the above article does not mention. I was just wondering why wait to adjust tarrifs until they are 200% behind sure! Wha can absorb such huge increases in this economic environment; even the 50% alluded to here? The last two times time they adjusted its because the needed to invest in infrastructure. This was not even 10 years ago. They got eurobond because they needed to invest in infrastructure. So why is it that again they will be adjusting to invest in infrastructure and I still have no power for 8 hours. Can ZESCO Management be serious. Can ERB make them account for how they used that increase from the last 2 increments. I hope the IMF makes dismantling ZESCO one of their conditions for aid. This white elephant needs to go! Zambian government is bankrupt because of corruption and choosing head of department due to which political party the support . 8 years ago zesco board of directors would have knowing about the problem it will have in 10 years . The only way load shedding can finish is building coal plants around the country but PF GOVERMENET IS BANKRUTP . The increment would be disastrous with the current economic crisis. Why not wait for the economy to settle down??? As for now, many families have opted to share, as they can’t even afford to rent their own homes. Understand the crisis. Understand the people. Dismantling ZESCO is the only solution. Zesco makes a lot of money but mismanagement is a problem. There are are many unnecessary employees who are not doing anything but being paid. There are also a lot of unqualified people and cadres who dont add value to Zesco. I have always wondered. Why is Zesco the only power utility company in Zambia. Is the private sector barred from producing and distribution of power to consumers? If my assumption is wrong, then why doesn’t Zesco just become a producer, and perhaps one of the many producers and then we can have different companies as distributors. That way, we will have competition in both the tariffs of production and consumption.